Jimmie Donald Rupert, 79, of Jerome, Idaho, passed away on March 29, 2019. He was the second of five children, born January 2, 1940, to parents James & Edith Rupert. Jim was the winner of the first annual North Side News Baby Derby, as the first baby born that year. He graduated from Jerome High School in 1958 and joined the National Guard soon after. In 1964, he married the love of his life, Kathryn Bartholomew. Together they raised three lovely children, along with countless dogs, cats, cows, horses, and various other livestock. Jim received his accounting degree from Stevens-Henager’s Business College in Salt Lake City, UT. He worked at various jobs until settling into what would become a lifelong career as office manager of Jerome Idaho Producer’s Livestock Marketing Association. 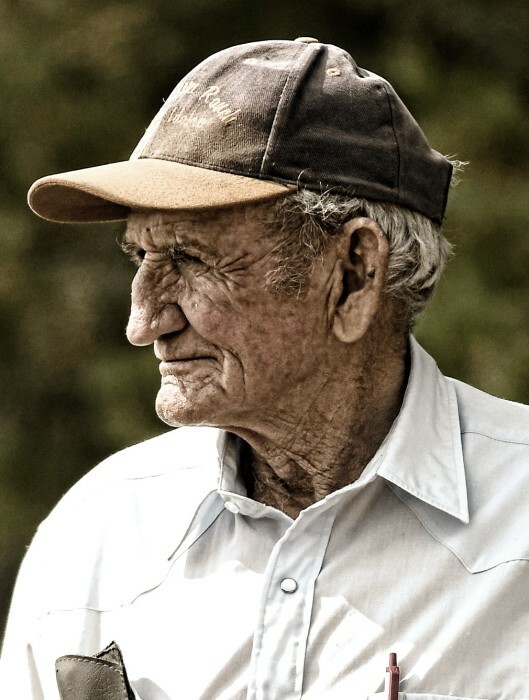 He retired in 2002 and focused all of his energies on the third-generation family ranch. Jim farmed the land, raising crops including corn, beans, wheat, alfalfa, and pasture for the cattle he raised. His hobbies, when not working the ranch, included hunting, fishing, team-roping, rodeoing, as well as Quarter Horse racing. Later in life, Jim partnered with his son Jeff to raise bucking bulls and campaign them in futurities, rodeos, and the PBR. Jim loved a good farm sale, livestock auction, and rodeo. You could always find him sitting in the same spot at any of those events. He will be remembered as the friendliest guy, with a smile on his face that would always come talk to you. He was preceded in death by his mother and father, his older sister Barbara, and younger brother Gary. Surviving are his wife Kathy, daughter Julie (Larry) Kimball, son Jeff (Jamie) Rupert, daughter Jennifer (Chris) Snyder, brother Richard (Sandra) Rupert, sister Launa Rupert, sister-in-law Kathy (Gary) Rupert, brother-in-law Michael (Barbara) Morrione, as well as grandchildren, Hadley, Jarrett, & Jacie Kimball, Reiney & baby Rupert, and Gabriel & Cailyn Snyder, and several nieces and nephews. A viewing will be held from 6pm until 8pm, Wednesday, April 3, 2019 at Farnsworth Mortuary, 1343 S Lincoln Ave, Jerome. Funeral service will be held at 2pm, Thursday, April 4, 2019 at Farnsworth Mortuary, with graveside service concluding at Jerome Cemetery. In lieu of flowers, donations may be made in Jim's name to Jerome County 4-H Leader’s Council or the Jerome High School Rodeo Club.